Relax aboard your floating hotel as you discover the quaint riverside settlements that hug the banks of the Rhine and Moselle. Highlights include Andernach, a little gem that is home to the world’s highest cold water spouting geyser as well as medieval fortifications such as the Round Tower and castle ruins with a well preserved keep. We sail on to Cochem where snaking streets of wine taverns are tucked below imposing Reichsburg Castle and bustling Boppard with its chairlift that gently glides visitors up to a spectacular viewpoint. Rudesheim boasts historical treasures while ancient Koblenz nestles at the confluence of the rivers, overlooked by a mighty statue of Kaiser Wilhelm. We travel to Newcastle for our DFDS ferry to Amsterdam, enjoying dinner, entertainment and breakfast on board. We make our way to Cologne to board the Prinses Christina, where we settle in to our cabins and explore the ship’s facilities before dinner. 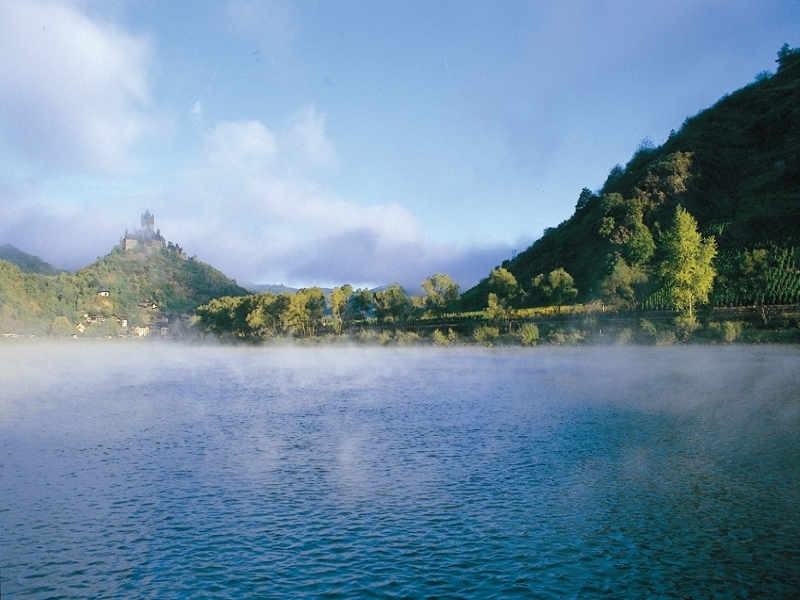 We begin our cruise, passing Bonn and into the Rhine Valley with its vineyard slopes and romantic castles, reaching the Roman town of Andernach. We leave the Rhine at Koblenz, cruising upstream on the winding Moselle and stopping at popular Cochem, which is overlooked by stately Reichsburg Castle. We rejoin the Rhine to visit Boppard. Gliding between the steep slopes and craggy rocks of the Rhine Gorge, we pass historic castles en route to popular Rudesheim. Returning through the Rhine Gorge, you’ll have time to explore Koblenz Old Town. We head for our ferry back to Newcastle, enjoying dinner, entertainment and breakfast on board. We make our way home. Organised by Glenton Holidays (ABTA & ATOL protected).